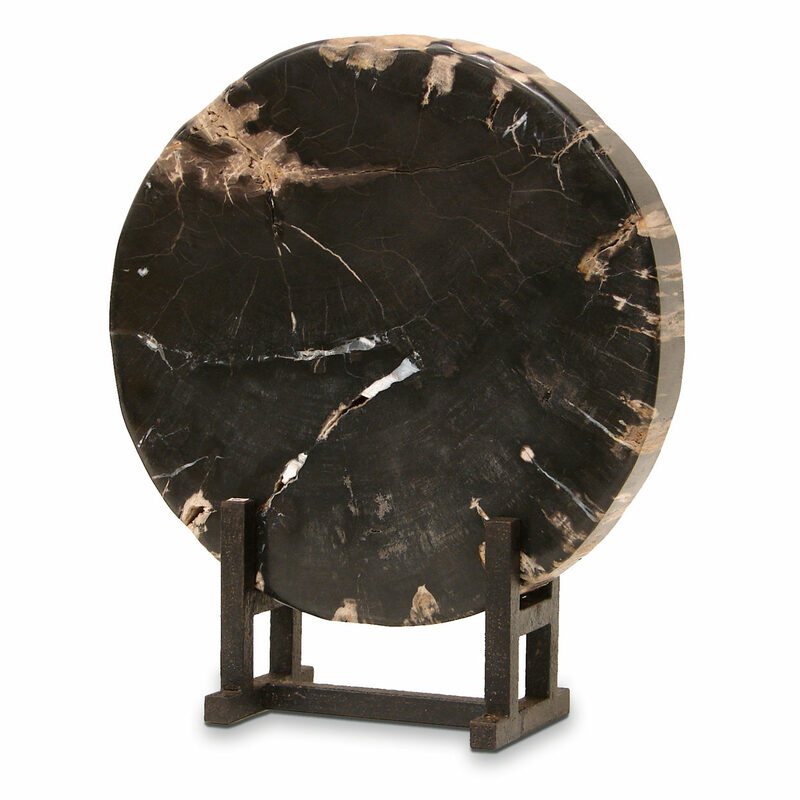 Naturally black petrified wood slice hand-cut and polished. Each slice is unique and will vary in size, shape, and color. 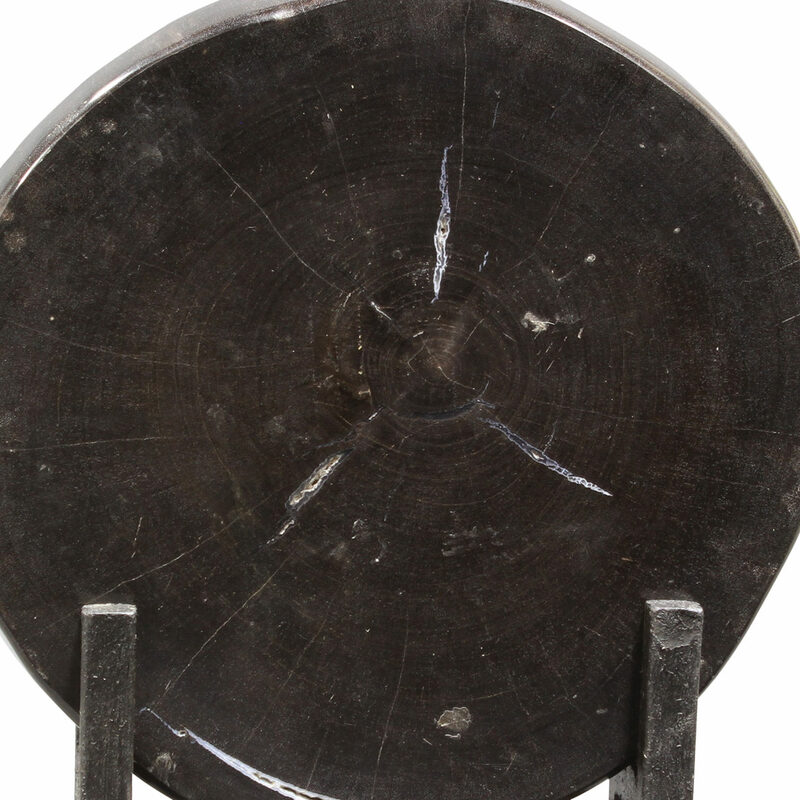 Cracking is natural and not considered a defect. 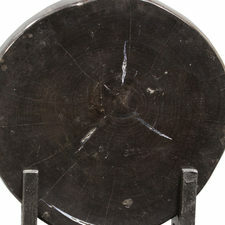 The slice sits loose on an iron base in black rust finish.